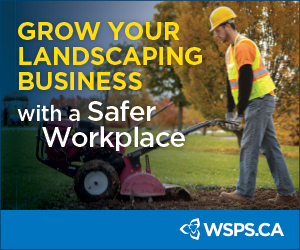 As landscapers we aim for successful, long-lived plantings, but often our sites are challenged with urban soils that are very different than forest or agricultural soils. What nature slowly develops over tens of thousands of years, a bulldozer completely obliterates in a matter of seconds. The new landscape is then covered up with a soil that has been pushed around, piled, screened, dumped and spread. 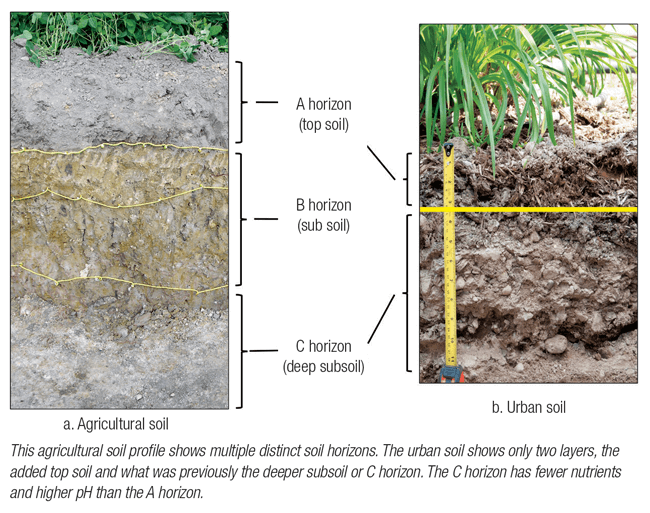 Changes to an urban soil’s profile, or horizons, and increased compaction can limit successful planting establishment. Understanding these changes can help to anticipate, diagnose and address site challenges. During urban site construction and preparation, the topsoil (upper layer, or A horizon) and often the subsoil (middle layer or B horizon) are typically removed, exposing the deep subsoil (lowest layer or C horizon). Compared to the A horizon, this lower horizon usually has a higher pH and poor soil fertility. A healthy and functioning soil is balanced between its physical components and its pore spaces. Ideally, it consists of 50 per cent physical components (minerals and organic matter) and 50 per cent pore space for air and water. However, many urban soils are compacted, with only 20-30 per cent pore space. 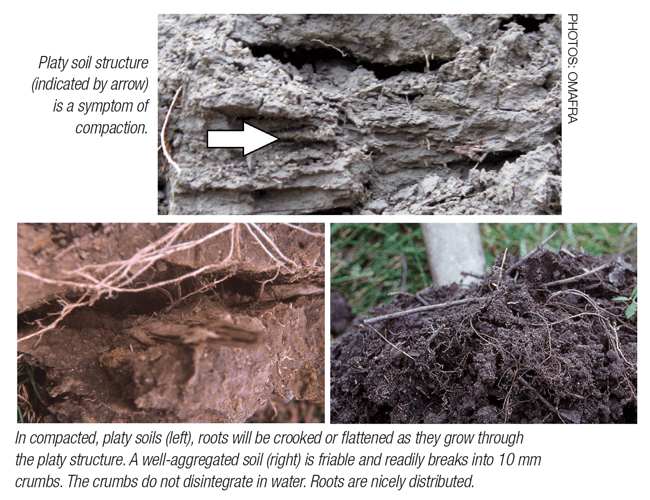 Compacted soils have reduced pore spaces for air and water, affect root growth and lower water infiltration rates. These are poor conditions for successful landscape plantings. While alleviating some of these urban soil limitations can be difficult, understanding how they have occurred and being able to identify them, will improve the success of your soil preparation and plant choices, to help create long-term successful landscapes.